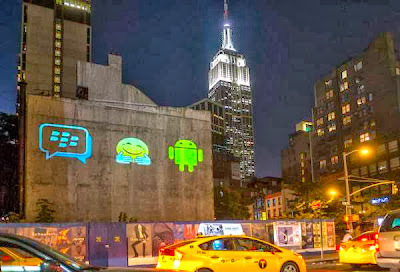 Hello netinfong readers, It seems things are taking different dimensions all over the world, as the much Anticipated BBM for Android and iOS has Finally been released. For Android users, visit google play store to Download it. ==>Enter your Email address and you should receive a Mail from them soon. "If you are among the millions that took the time to sign up at BBM.com, you can start using BBM immediately without waiting in line. * If you didn’t sign up in advance, don’t worry – we are focused on moving millions of customers through the line as fast as possible. Our team of developers and engineers has been working around the clock to bring you BBM – and make some upgrades while we’re at it – and some incredible work has been done. I look forward to sharing more of this with you here, on Inside BlackBerry, soon". So you have seen it all, what are your thoughts?? it is jst a pity dat i cnt rock with it on my android bcos am running version 2.3.
im also running 2.3v, pls is there any other thing we can do to upgrade it? @Anonymous 7:28AM, I wish I could say YES, but unfortunately NO, the only thing u can do is to get a newer device. What if the device is rooted?